I've been told by some of my customers that I don't charge enough. In response, let me offer an explanation. At least once each year I take stock of my competition. 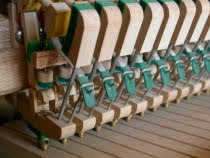 Primarily this consists of trying to determine precisely what other piano tuner-technicians within reach of my service area are charging and what other kinds of promotions they may be offering. Some of my competitors I know on a first name basis. 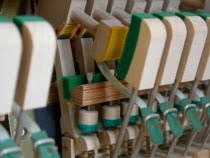 In the broader sense a piano tuner's competition consists of anything and everything that can compete for a piano player's time and money, or which can distract you, a presumed piano owner - from having your instrument regularly serviced. That much takes a little more analysis, but in my best instinctive judgment I believe we're on the verge of a renaissance in music appreciation. We're not there yet, but it's coming. Times are changing and the magical act of making one's own music shows no signs of going away. 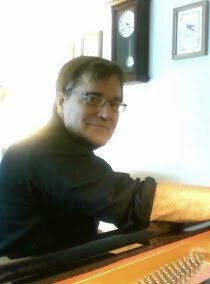 Making music is an escape, a source of pleasure, a creative outlet and - for those with a dash of business sense and charisma - a surefire source of revenue. And it will be for years to come. Honestly, I am astounded by the fees which some of those in my profession are charging. Some I know are charging twice, even three times as much as I do - plus mileage. I have intentionally held my price for years to what I consider a healthy profit margin. Twice in the past 10 years I have actually lowered my price to account for a reduction in expenses. For others it seems, price changes have gone in one direction only, and I don't need to tell you which way that is. I understand inflation, but prices should increase as demand increases, not simply to keep up with the rate of overall inflation. 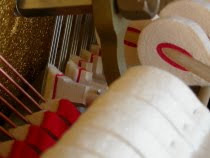 With piano tuning, I know what the job entails and the time it takes to do it right. I know the average percentage of the overall fee which goes toward fuel and travel time. 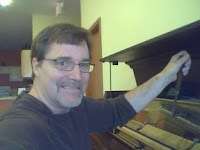 I know how quickly a piano belonging to a customer whose piano I have tuned for 10 or 15 years straight can be tuned and serviced, compared to one which I have never tuned before. 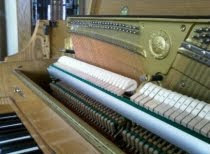 And I know how negligible the overhead expenses are for an experienced, full-time piano tuner and technician. With the economy as it is, I intend to keep my fees right where they have been - reasonable, balanced and in line with what the average consumer can afford. You can count on it.